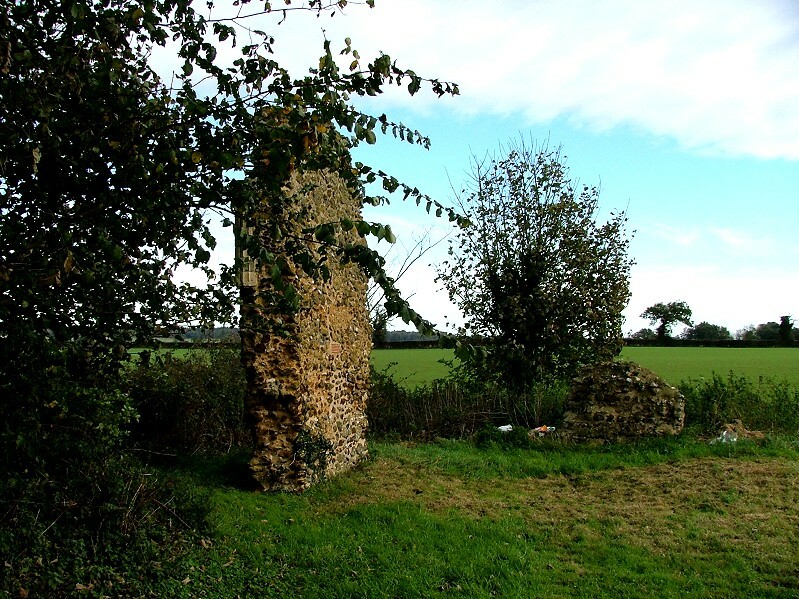 We were heading for Melton Constable church, which is way out of the village in the grounds of the Hall, when I noticed that just to the north of the high street was a ruin on the road to Holt. 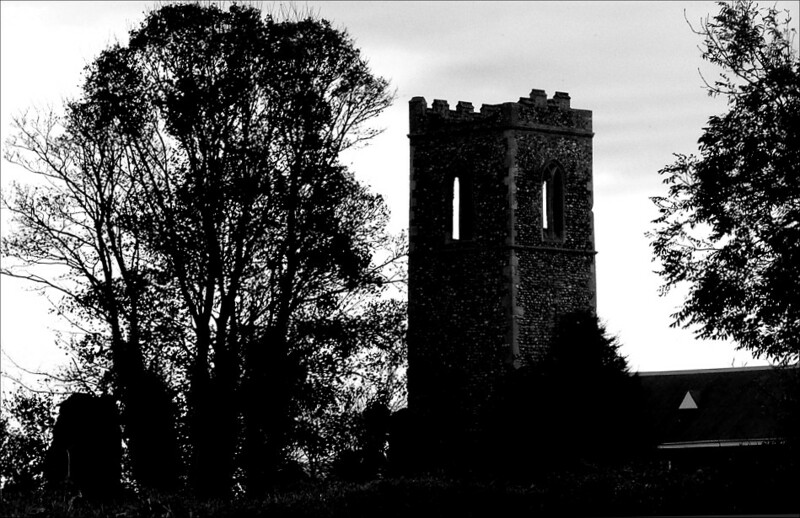 This is the former parish church of Burgh (pronounced burra) Parva. Burgh is the Anglo-Saxon word for a fort, but in this case the name almost certainly derives from the local river, the Bure, as does that of Briston, Melton Constable's eastern suburb. 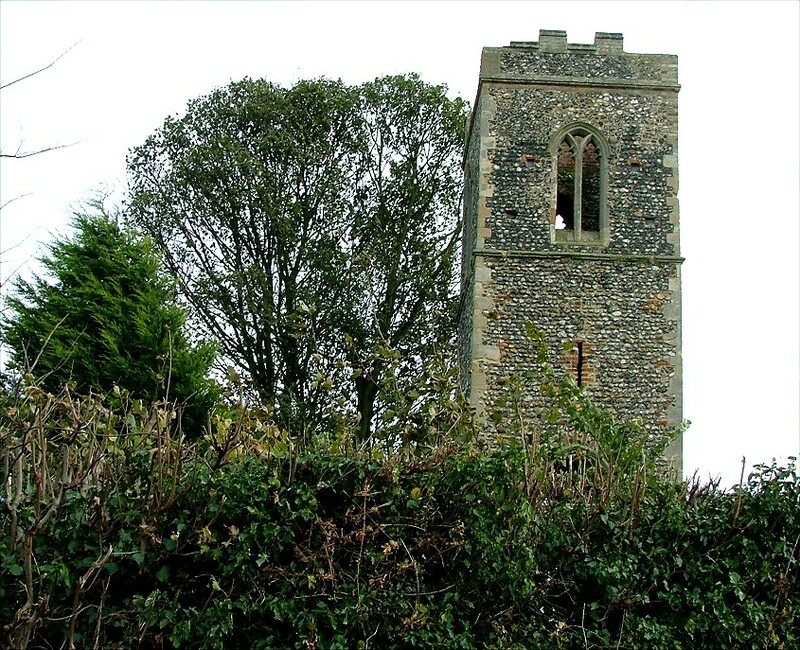 Burgh was never more than a hamlet of Melton Constable, and the first record of the church is in the early 14th century, at which time there were probably about 15 households. 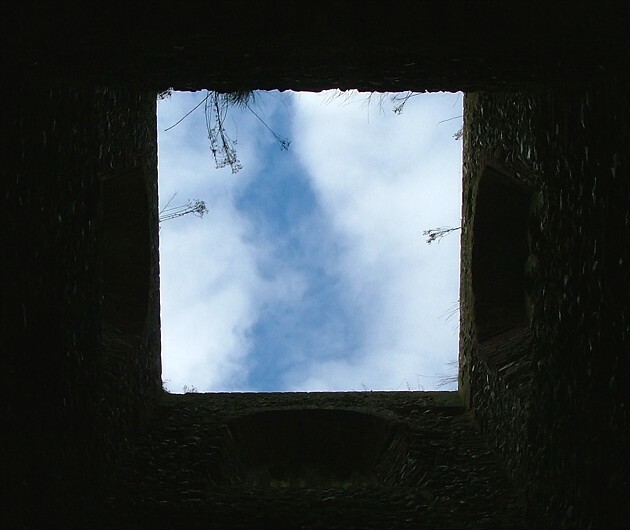 Much of the surviving ruin appears to be the work of the 15th, and possibly even the 16th century, a deduction backed up by will evidence. 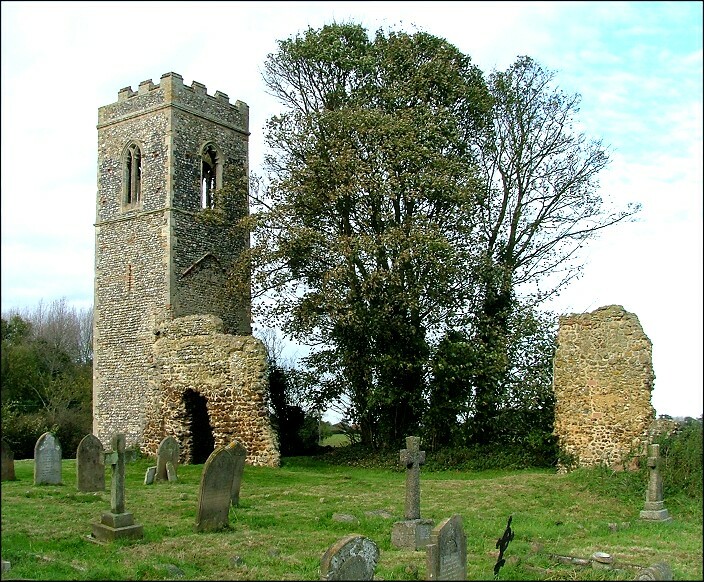 Once the Reformation had happened, the Melton Constable/Burgh Parva village could no longer support two churches, and by the end of the Commonwealth this one was abandoned. All that survives today is the tower, in pretty much complete condition, the north wall of the chancel and the south wall of the nave, as well as a stubby bit of wall that must once have been under the east window. 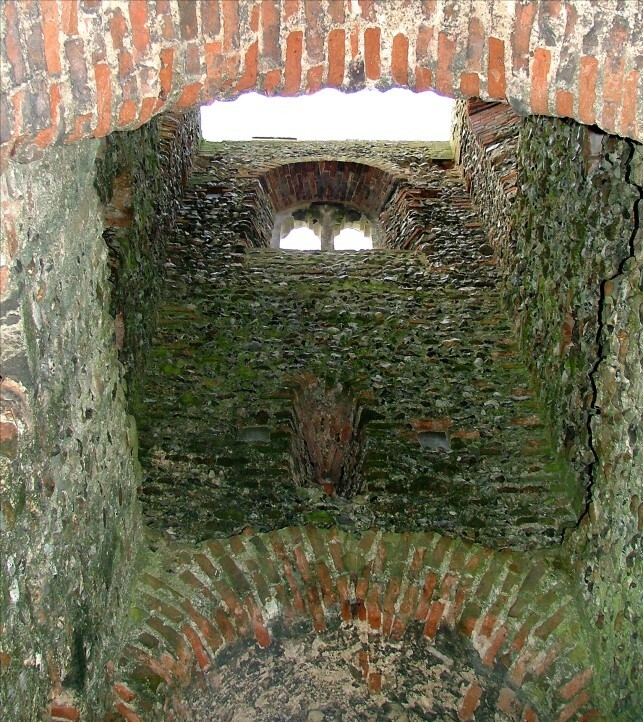 There is a considerable amount of carstone, especially in the south wall, and the south doorway was obviously filled in before the church was abandoned. Once the railways came, and the population of Melton Constable mushroomed, the Church of England was presented with the threat of non-conformism. Having the parish church out on the Hall estate was obviously asking for trouble, and so there was a need for an Anglican presence near to the urban area. 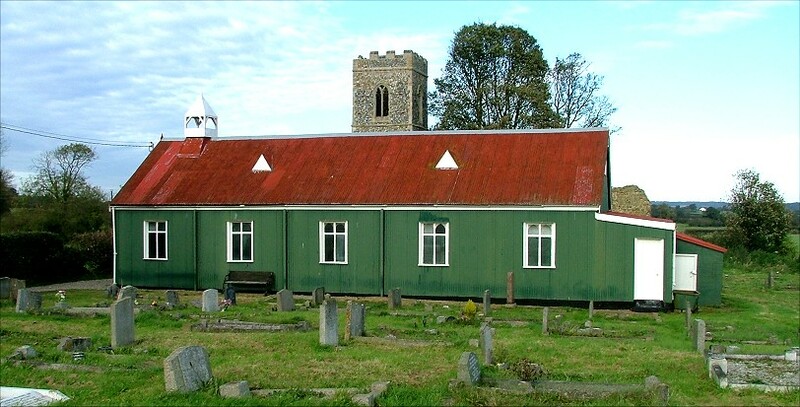 Because of this, a temporary corrugated iron church was erected in the graveyard in 1903. It still stands, and is still in use today.